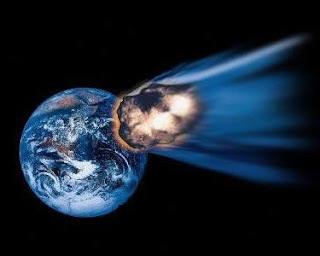 Did you know that you are statistically more likely to be killed by an asteroid crashing into the United States then by being on a plane that crashes. You see, if an asteroid hit the United States, it would most likely kill millions of people, while a plane crash would kill less than a hundred. THAT is the wonder and beauty of basing things purely off of statistics, ladies and gentlemen. You may think that statistics can't lie, but they most certainly can. No Child Left Behind, the latest "great fix" we have in education (don't worry, there will be another in 2-4 years that won't work), is based purely off of statistical analysis. The better your school does at attaining the right statistics, the more funding you get. The worse it does, the more extra crap and paper work you get (along with less funding). One of the many things that I don't like about this system is the fact that it strongly encourages standardized testing, which in turn pushes teachers to simply "teach the test" rather than give a well rounded lesson in their subject area. It also strongly discourages class and study time in fine arts and physical education, since those really can't be standardized into one test. I know that standardized testing is an occasional necessary evil of the system, but to put the pressure of the school's funding and functioning on a test and diminish the importance of fine arts, PE, exploratories such as foriegn languages and computer classes is inexcusable. Now call me crazy, but I have yet to see a great school with a bad fine arts program. I have also yet to see a bad school with a good fine arts program. Maybe these things coincide, or just maybe giving kids a place to learn HOW to express themselves, create, and feel human, is just as important as learning about the War of 1812, prehistoric ecosystems, obtuse angles, and active verbs. To paraphrase Mr. Holland's Opus: Keep taking it (fine arts) away, and pretty soon they'll have nothing to read or write about. And as far as P.E/Health goes, we better get on the ball unless we want our medical bills and insurance to be sky high in 20 years. America is not taking care of itself, and the answer is not to cut back on a time of day when kids actually get to release energy and learn about how to properly take care of themselves. And while we are on the subject of what we teach kids...seriously, what are we teaching them? I remember learning about imaginary numbers in math. They are numbers that can't exist, but if they did, there are a whole set of rules for them and problems you can do instead of watching BATMAN: The Animated Series on TV or playing outside (I was 12, cut me some slack). What the heck am I going to use that for? Here's an idea: Why not a class about how to balance your checkbook, use your credit card responsibly, and invest for your family and retirement? (And not just a class near the end of senoir year in high school). These are things that everyone will need, but barely get touched upon in school. If you can't tell, I'm a bit ticked at the state of things (especially being a music teacher) in today's educational system. Luckily, I live in the wonderful bubble of Mount Pleasant. Things might not be perfect by any stretch, but it's much better than everything else outside it...and the state of things on the outside is getting worse by the day. Maybe we could try basing things more off of observations by top instructors in each field of study. Maybe we could look at what is actually going on INSIDE the classroom rather than looking at reports and data all day. Maybe we could realize that taking kids opportunities away in fine arts isn't working even though we keep doing it. Or maybe we could just wait for that asteroid to hit.